What’s the Price for the 2019 Mitsubishi Outlander Sport ES 2.0? How Many MPG Does the 2019 Mitsubishi Outlander Sport ES 2.0 Get? What’s New for the 2019 Mitsubishi Outlander Sport ES 2.0? As you explore the current options available for a compact crossover SUV, you understandably may be drawn to the stunning design of the 2019 Mitsubishi Outlander Sport ES 2.0. The Outlander was first offered for sale in the 2001 model year, and the 2019 Outlander is a third-generation vehicle that introduces many thoughtful updates to an already-stunning design. The ES trim is the entry-level Outlander, but you may be surprised how well-appointed this vehicle is. Many of the updates that have been made to the 2019 Outlander are found in the ES trim as well as in the superior trims. Some of these updates include the introduction of rear air vents, illumination on the front and rear window door switches, enhanced front seats for improved comfort, redesigned headlights, a revamped grille, a new lower bumper skid plate, enhanced 18-inch alloy wheels, a quieter interior, upgraded interior materials with new accents on the doors, an auto-hold electric parking brake, a new rear USB port, an enhanced suspension system for improved handling, a tire repair kit and an improved graphic display for the driver’s info display. 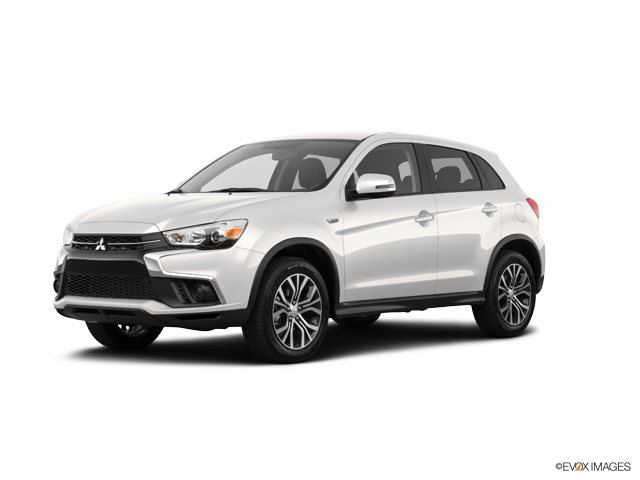 With such profound updates throughout the interior and exterior as well as under the hood, the 2019 Mitsubishi Outlander Sport ES 2.0 is a compact crossover SUV that you need to view in person in order to appreciate fully. In addition to these exciting features that are now available in the Outlander Sport ES 2.0 for 2019, the SUV carries many similar features as it had in the last model year. The powertrain includes a 4-cylinder, 2.0-liter MIVEC engine with a 5-speed manual transmission and front-wheel drive. Additional carryover features from the 2018 model include halogen headlights with LED taillights, heated and powered side view mirrors, turn signal indicators mounted in the side mirrors, rear privacy glass, all-season tires, a roof spoiler, a 7-inch color display for the audio system, digital HD radio, Bluetooth technology, several mounted controls on the steering wheel, 12-volt power outlets, air filtration and other interior and exterior features. Some of the standard safety equipment for 2019 includes hill start assist, traction control logic, active stability control, anti-lock brakes, tire pressure monitoring, airbags, an anti-theft alarm system, LATCH child safety features and several other features. While the ES is the base trim, you can see that it may have everything that you have been looking for in a stylish design, and it may even come with extra features that you were not expecting. Now that you know more about what the 2019 Mitsubishi Outlander Sport ES 2.0 offers, you may be eager to take it out on the road for a spin and to check out its updated style and features in person. When you stop by our dealership, you can compare the ES against the other trims available so that you can select a vehicle that perfectly meets all of your needs. Our helpful Mitsubishi sales associates are available to demonstrate features and to answer your questions when you stop by to meet with us. Contact us today to schedule a meeting with our sales associates, or drop by at any time during business hours for immediate assistance with a test drive.